Five units that sleep 20 people comfortably. 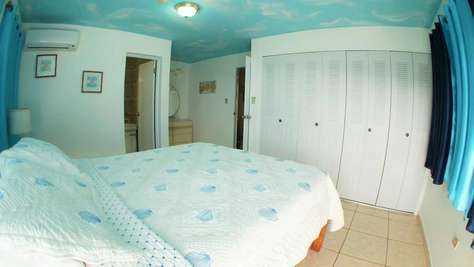 Unit A and B each have one bedroom with two queen size beds. Unit C has one bedroom with a queen size bed and a futon in the living area. 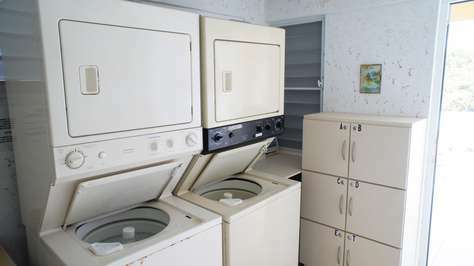 Unit D has two bedrooms each with a queen size bed. 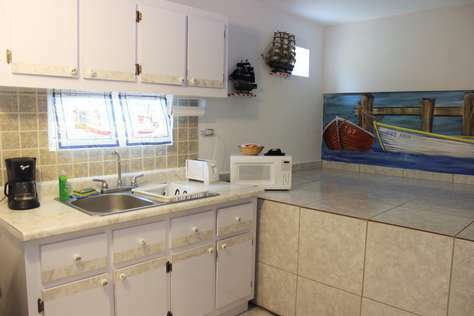 All of these units have a fully equipped kitchen, dining table, living room with cable TV and WiFi and a full bathroom with a shower. 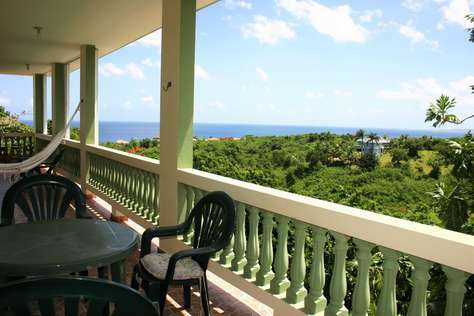 Each also have a private balcony overlooking the ocean (A & B) and mountains (C & D). The terrace is like a studio and has a king size bed. 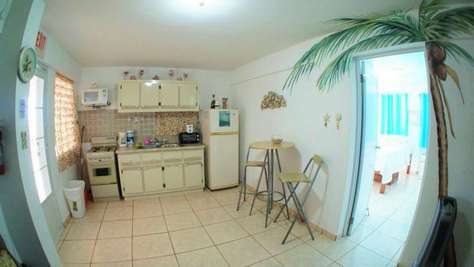 The kitchenette has a microwave, coffee maker, small refrigerator and toaster. We also provide cooking utensils and cookware. 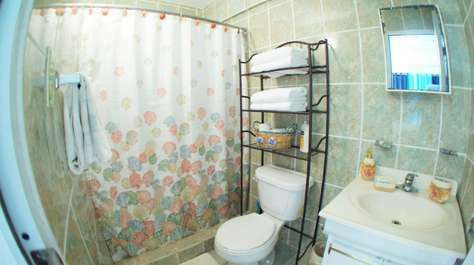 The full bathroom has a shower and a hair dryer. 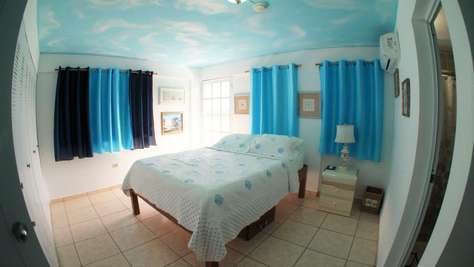 In front of the bed there is a plasma TV with satellite dish and a home theater. 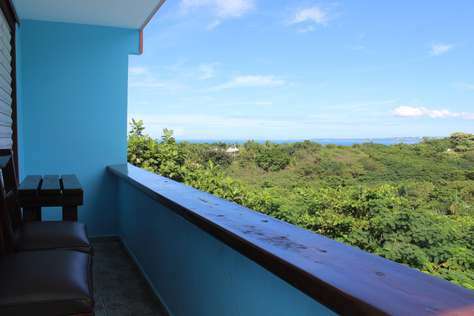 When you walk up the stairs to the terrace, you will be greeted with a beautiful ocean and mountain view. This is definitely the best feature of the terrace. 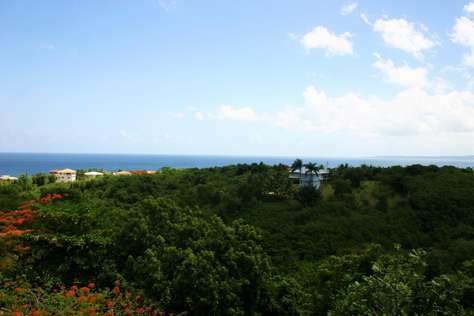 To enjoy that view and the breeze we have two hammocks and an outdoor table to have your meals. For your convenience there is an electric grill too. The pool table is ideal to have some fun at nights after a long day at the beach. 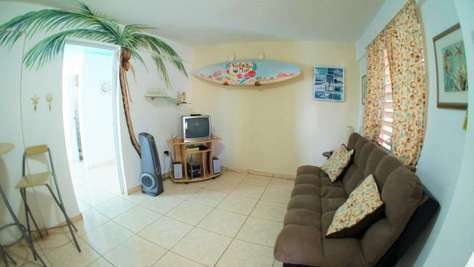 There are also lounge chairs if you which you get a little suntan. Balcony has chairs and is a great place to have your meals too. 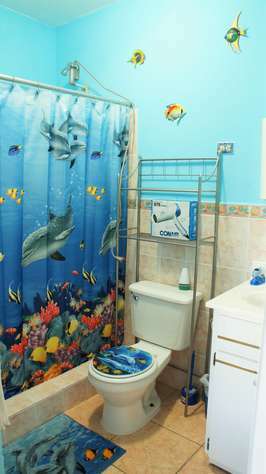 The closet has an iron, hair dryer, ironing table, beach towels, beach umbrella, beach chairs and beach cooler. There is also a safe box to put your valuables during your stay. 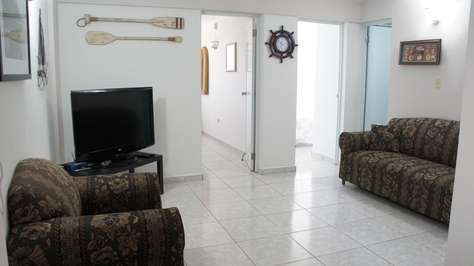 All the apartments have a/c on the bedrooms, cable TV, WiFi, paddle ball, beach chairs, regular towels, beach towels, umbrellas and coolers, iron and ironing board, hair dryer and in-room combination safe boxes. 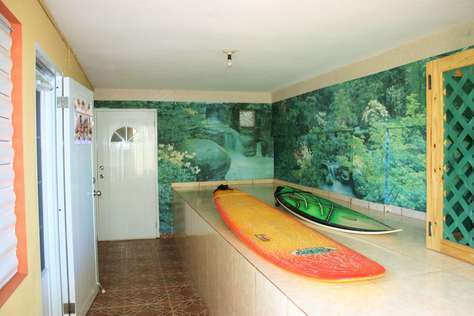 Our property has an outdoor pool and patio area with personal private bar, dining and lounge chairs, double charcoal BBQ, free laundry facilities, off-street parking, back up water and electric generator, surfboard storage areas and an outdoor shower.